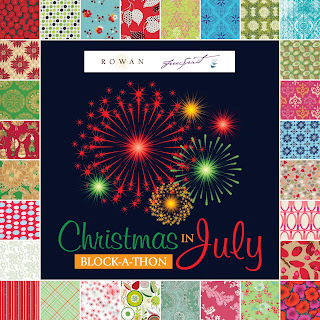 Today is my day in the Christmas in July Block-a-thon, so be sure and head on over the the Free Spirit blog to check out my tutorial and follow along! I did this block and you made an excellent tutorial. Although my block is not perfect I would happy try flying geese again!! Thanks for helping over my fear of flying geese!